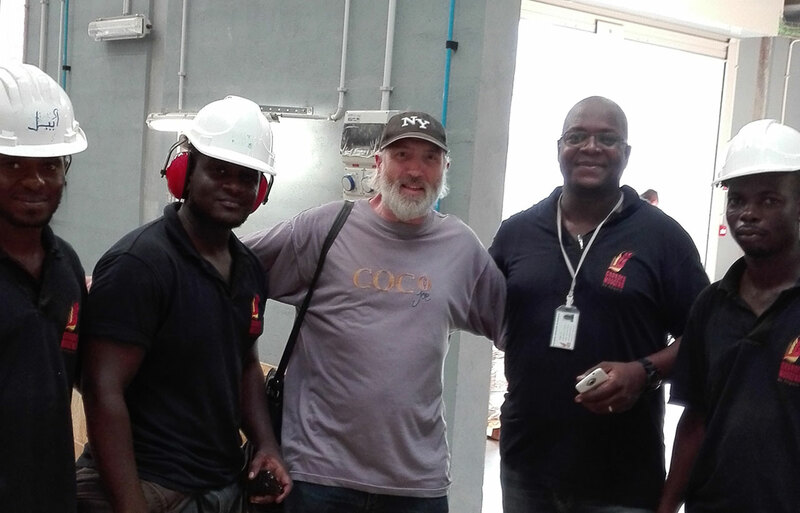 Above photograph shows Newland installation & commissioning engineer Mr Bob Waring with the site maintenance crew in Angola. Newland have recently finished an order for 3 telescopic units for a multi-national company in Angola. A Newland installation engineer is due to fly out to Luanda in the third week of May to install & commission all three units. Newland have been exporting worldwide since the late 1970’s & have a very experienced team of engineers that are used to working in different parts of the globe. The Newland machine models MTC3X multi-telescopic belt conveyors had the machine signage & wording in the Portuguese language. The 3 telescopic boom conveyors were supplied with a comprehensive spares package. After sales is very important to Newland Engineering. Mrs Lynn Kerfoot MBE Managing Director comments: “After sales is something that is talked about by a lot of companies in their sales pitch but not always followed through in a professional manner.